Through chapters providing scientific proof for the origins of life and the universe, the book proposes that theistic evolution may be the best answer to thorny questions concerning the origins of life. Growing up in an agnostic family, Collins’ conversion to Christianity occurred in his adult years after a pastor encouraged him to read religious classic Mere Christianity by renowned author C.S. Lewis. Inspired by philosophers and scientists like Lewis, Immanuel Kant, Albert Einstein and Charles Darwin amongst others, Collins sought to find the “richly satisfying harmony between the scientific and spiritual worldviews”. In distilling the answer to man’s eternal quest for his maker, Collins takes us on an accelerated journey through the worlds of evolutionary biology, genetics, quantum physics, cosmology, philosophy and theology. Let me highlight key themes from the book. Collins believed that the existence of the Moral Law – the altruistic impulse and voice of conscience calling us to help others even if nothing is received in return – is the primary reason for us to believe in a Creator. The fact that universal traits of morality and goodness exist in almost every human society shows that there must be a higher being at work here. Coupled with mankind’s universal desire across different cultures to search for his creator, the Moral Law provided evidence for the existence of a supernatural creator. This view is echoed by many other Christian philosphers and theologians, including renowned apologist William Lane Craig (read his answer to the Moral Law Argument here). Most modern day cosmologists and physicists believe that the universe began with a “Big Bang” some 14 billion years ago. This phenomena was documented by a series of experiments first conducted by Edwin Hubble in 1929. In his work, Hubble (which had a giant telescope named after him) revealed that the stars and galaxies were continually moving apart from each other at a constant speed. Also known as a gravitational singularity, the beginning of the universe also coincided with the beginning of time. The more recent detection of cosmic microwaves by Arno Penzias and Robert Wilson in 1965 provided further evidence that the universe began as an “infinitely dense, dimensionless point of pure energy”. The “god of the gaps” theory is one which espouses that the gaps in scientific knowledge may best be explained by divine intervention. In other words, whatever we cannot explain with science should be ascribed to God or a supernatural force. A case in point was the age-old belief that the Earth was flat – a belief that was later disproved by various scientists including Italian astronomer Galileo. Beginning with the work of Charles Darwin and his influential book The Origin of Species, Collins narrated how natural selection, the mutability of DNA, and the fossil evidence reveal that evolution is not just a theory but a scientific fact. The placement of humans next to our closest living “relative” the chimpanzee in the evolutionary tree of life based on anatomical characteristics is bolstered by the discovery that humans and chimps are 96% identical at the DNA level. 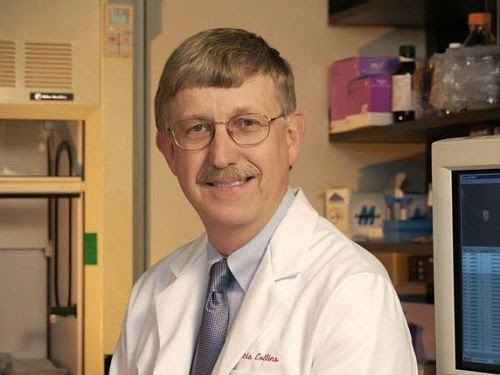 Writing about his experience with the Human Genome Project, Collins marveled about the systematic way in which genes were coded on strands of DNA in the human chromosomes. Through the discoveries of the global team tasked to sequence and identify all three billion chemical units in the human genome, Collins’ discoveries lead him to be in awe of the complexity of the language which God used in His “little instruction book of life”. This sense of wonder provided the key impetus behind Collins’ views that such a complex and finely orchestrated code at the infinitesimal level could only be created by divine intervention. In a section of the book highlighting different belief systems, Collins positioned atheism and agnosticism as scenarios where science trumped faith. Weak atheism is the absence of belief in the existence of a divine deity, while strong atheism is the firm conviction that no God or gods exist. An agnostic, on the other hand, is one who would say that the knowledge of God’s existence cannot be achieved. “God is true, and if certain scientific conclusions about the natural world (ie evolution) are also true, then they cannot contradict each other”. Using terms like “poetic” and “allegorical” to describe Genesis chapters 1 and 2 (where God is described to have created the world in 6 days), Collins poo poos the beliefs of creationists who stick to a literal translation of the Bible. First started by Henry Morris and his colleagues, Young Earth Creationism is widely accepted by the evangelical Christian church in America. Calling them “intellectually bankrupt”, Collins asserted that the group’s policy of “attacking the fundamentals of virtually every branch of science” places it in a dangerous pathway. This could have a negative outcome on Christianity itself. The ID movement is fairly recent, having started about 20 years ago. It places its focus not on how life came about, but on the “perceived failing of the evolutionary theory to account for life’s subsequent stunning complexity”. While Collins is more sympathetic to the proponents of ID relative to Creationists, he still felt that “this ship is not headed to the promised land” but “headed instead to the bottom of the ocean.” Harsh words indeed! Coining a new term BioLogos (bios as the Greek word for “life”, and logos as the Greek word for “word”), Collins proposed that theistic evolution may be the answer that we’re searching for. Humans are unique in ways that defy evolutionary explanation and point to our spiritual nature. This includes existence of the Moral Law and the search for God. Many mainline Christians themselves also believe in Theistic Evolution. It is the official position taken by many Protestant dominations as well as the Catholic Church. Is Theistic Evolution the Gospel Truth? 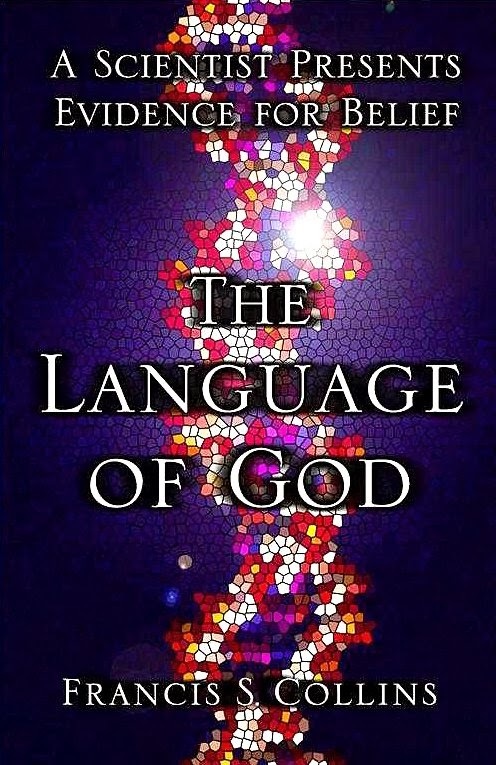 As a Christian with an intellectual and scientific bent, I found The Language of God a highly enjoyable and stimulating read. It is certainly rare to find a scientist like Dr Collins who is able to translate complex scientific and metaphysical ideas into highly readable narrative prose. While I do like his ideas, I wondered though if his rather liberal interpretation of Genesis 1 and 2 in the Bible could hold water. After all, if the Bible is God’s sacred word inspired by His Spirit, wouldn’t every verse ring true? Having said that, I do agree with Dr Collins that there must be a way to balance one’s spiritual beliefs with the need to recognise developments in modern day science. Christian apologists like William Lane Craig and Ravi Zacharias have succeeded to some extent, diving deeply into scientific, philosophical and Biblical truths. What are your views on the balance between science and religion? Is it impossible to reconcile scientific analysis with Biblical truths?